It is the dragon that fascinates me. Standing on the banks of the River Vistula he stands there, with a smug look on his face, pleased with all the attention he is getting. It is a bright sunny morning and I am floating aimlessly in a little boat, in the turquoise waters of the Vistula in Krakow in Poland. Even the boat is designed like a dragon. 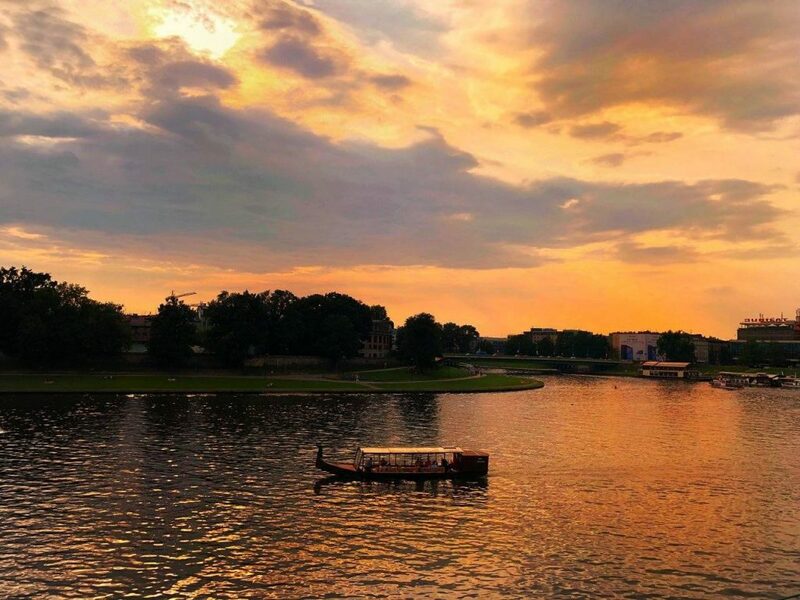 The dragon is one of Krakow attractions and the boat ride is one of the best things to do in Krakow. There are several children who are jumping around the dragon, waiting to take pictures with him as its one of the top things to do in Krakow. In the background stands a formidable fortress, looking straight out of a Game of Thrones set and it looms large in front of me. It seems to be a lovely day for stories and who is interested in listening to a bit of medieval folklore ? It is the medieval times when dragons fly around emitting fire and torture humans and even have an eye on virgins. The folk lore is dated to the 13th century and the Wawel Dragon as he is called is at the centre of the story. Living on the foot of the Wawel Hill in a lair, the dragon has been terrorizing locals, carrying away young maidens. Even the king Krakus, the legendary founder of Krakow was apparently worried as the life of his pretty princess was in danger. So he announced hat he would give his daughter’s hand in marriage to any man who dared to kill the monster. Several warriors rose to the challenge but failed. A cobbler’s apprentice called Skuba becomes the hero of this story. The young man stuffed a lamb with sulphur and used it as a bait to lure the dragon. He left it near the cave and it is believed that the dragon exploded as he tried to eat it. The legends keep changing along with the heroes but the dragon remains the villain in all of them. In one version. Skuba becomes the prince Krakus but there is however a small twist to the tale. King Krakus had two sons, Krakus 11 and Lech. The brothers tried the same trick and the dragon met its fiery end. The brothers however fought and Lech killed his brother and said that he was slain by the dragon. Slowly the truth was discovered and Krakus was honored as the city was named after him. 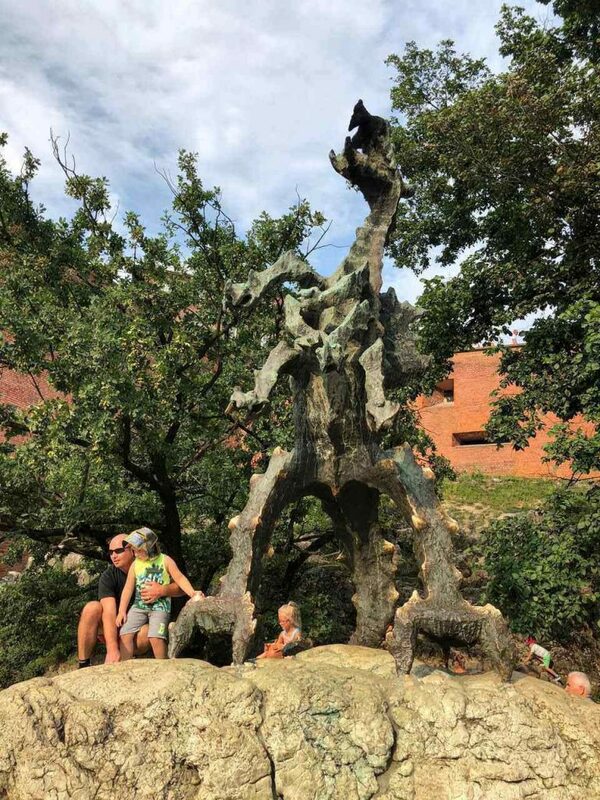 However the dragon on the banks of the Vistula, standing tall at the foot of the Wawel Hill has been sculpted as a souvenir of the folklore and is thronged by tourists. He represents evil,” says my guide Yola. 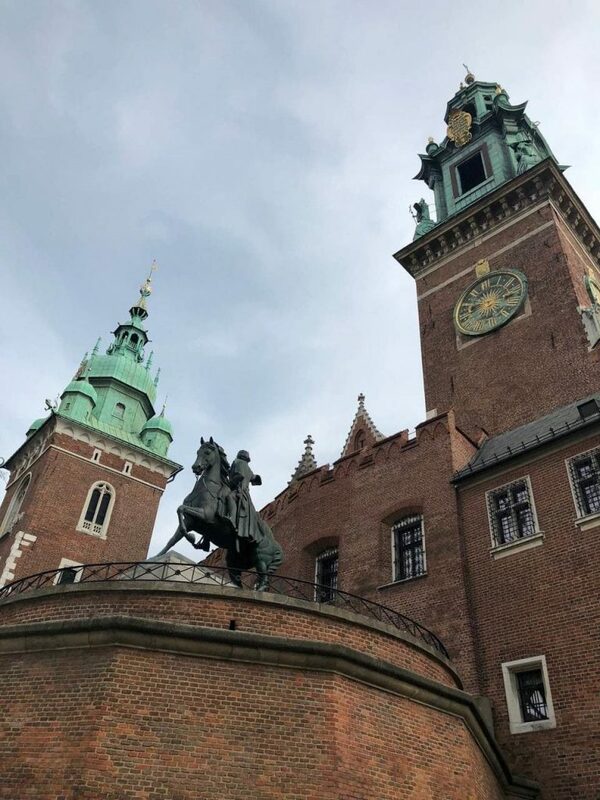 At the front of the Wawel Cathedral, you can see bones from a pre historic animal that was believed to have been the remains of the dragon. It is believed that the world will come to an end when the bones will fall to the ground. It is stories like this that endears me to Krakow. And the story of Krakow begins with this limestone outcrop called Wawel Hill. 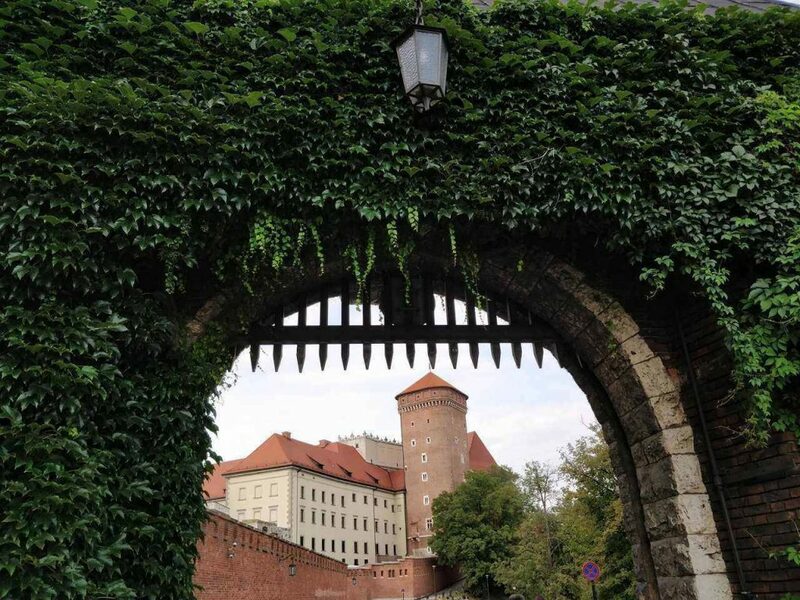 This fortress has been the seat of power for the Polish and it virtually dominates the entire landscape of the city. Yola says that archaeological remains show that it has been occupied with various settlements since the 4th century. 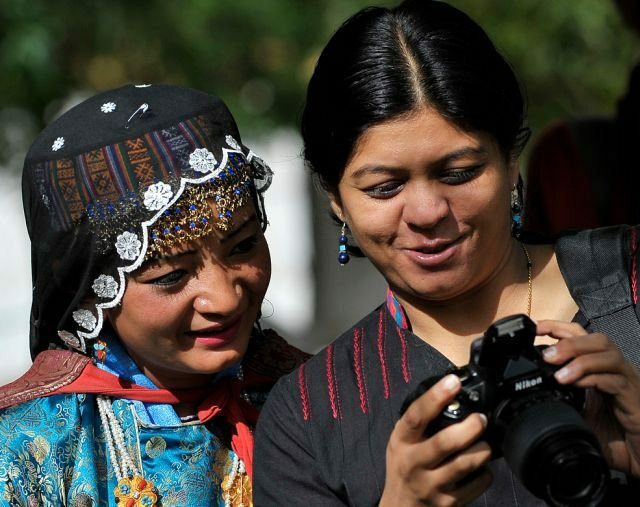 Traders and merchants thronged the region followed by local farmers and artisans. 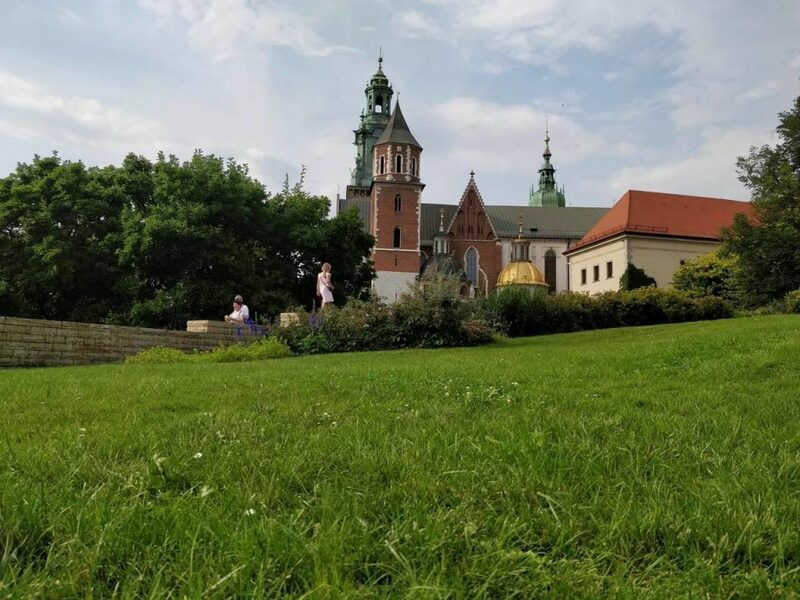 We trudge up the hillock , which is one of the best things to do in Krakow and I am in awe of the massive architectural fortification that greets me. The skies are blue and the gardens are blooming and standing in front of me is a towering castle and an ancient cathedral and a chapel with a golden dome . But there are several monuments here like the Rotunda of Virgin Mary which is apparently one of the first churches to be built in Krakow. Wawel became both the nerve centre for the monarchy and the church. While the Polish kings chose Wawel Castle as their residence, they were crowned at the Gothic cathedral. 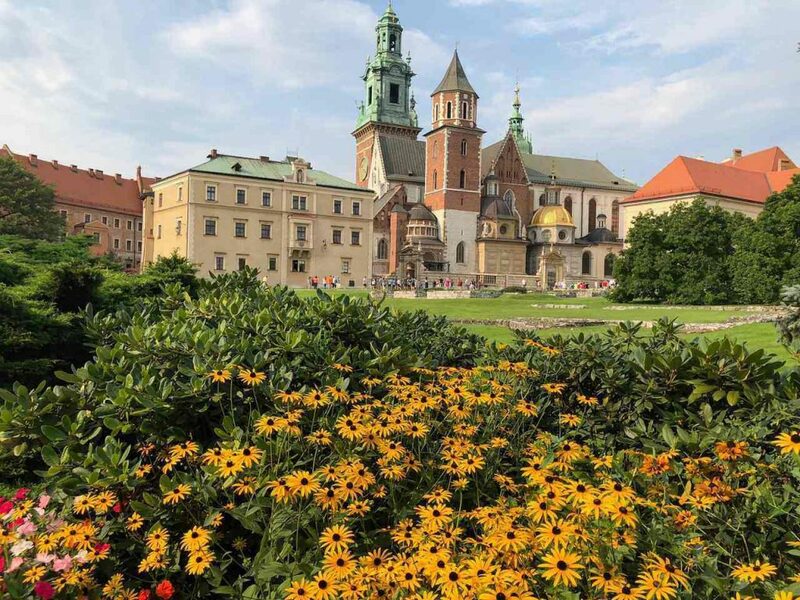 Krakow was the official capital of Poland from the 10th-16th centuries until Warsaw took over. 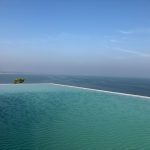 However for me history is not just about names of kings and the battles fought and won, but it is the legacy that they have left behind – in the form of art and architecture, traditions and cultures and of course, stories. 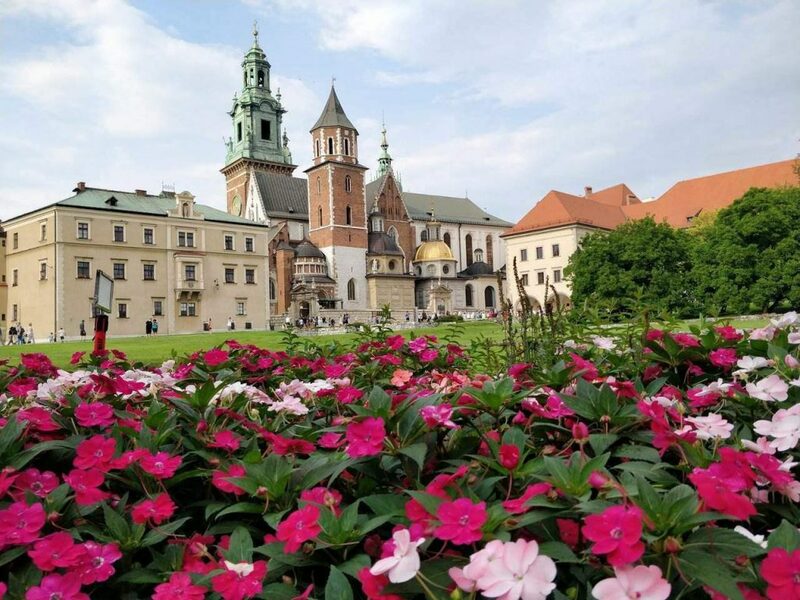 From the era of King Casimir 111 The Great to King Sigismund 1 The Old, the Wawel castle , has seen different styles of architecture from Renaissance to Baroque. It was Sigismund 1 who brought in sculptors from Italy to give it a Renaissance touch. The UNESCO World Heritage Site is now a museum that showcases the paintings, sculptures, textiles , ceramics, porcelain and even antique furniture. But it is the tapestry, 350 of them, commissioned by the royalty and woven in Flanders that takes my breath away . 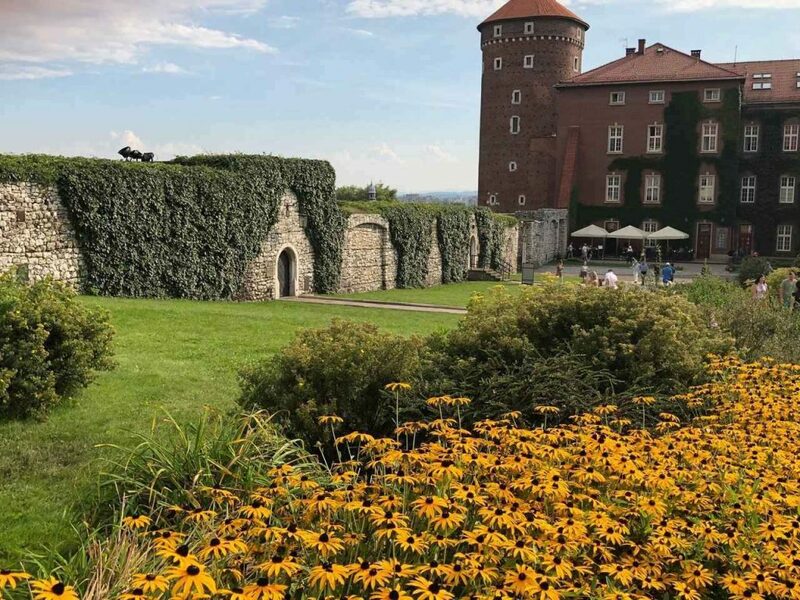 The castle was the symbol of the Poland State and a model for royal residences across Europe. We walk around the state rooms and the royal private apartments. I am spellbound as I saw the ornate Deputy Hall and its coffered ceiling, but it is the Ambassador’s Hall with its ceiling covered with thirty heads designed in Gothic style that leaves me gaping in awe, which represent the people of the era. 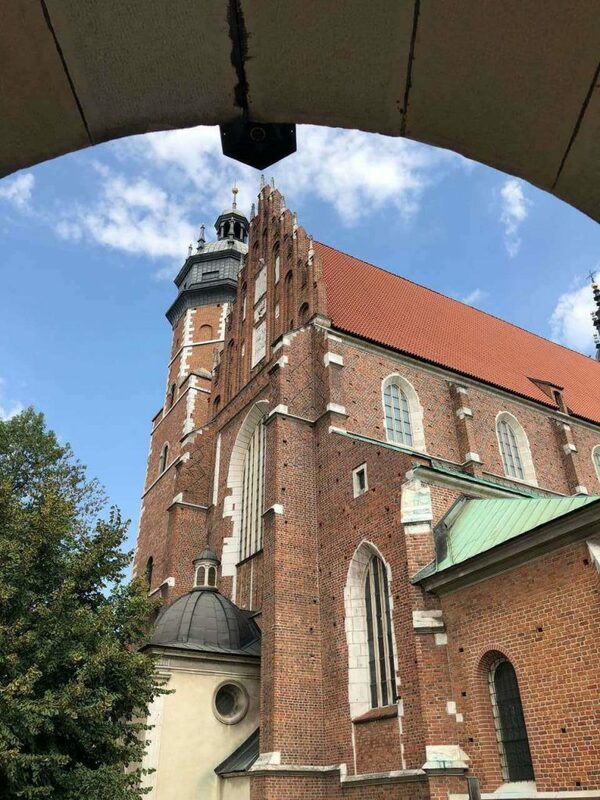 A pindrop silence greets me as I enter the Royal ArchCathedral Basilica of Saints Stainslaus and Wenceslaus, popularly and simply known as the Wawel Cathedral. Yola whispers that this is where the kings were crowned but it is also their mausoleum as they were buried in the crypts below. Over 1000 years old, the present Gothic cathedral was the third to be built here and the other two were destroyed by fire. Adjoining the cathedral is Sigismund’s Chapel, which is built in the Renaissance style of architecture This is where the king and his family are buried. On the Sigismund Tower, you can see the 13 tonne heavy bell, cast in bronze and named after the king. Apparently twelve men join together to ring the bell. Stories of intrigue and even murder echo from every wall here. My guide tells me about a scheming story that led a murder in the cathedral of an Archbishop. Later, in the day I become a time traveller as a horse drawn carriage whisks me away into the 11th century . A trumpeter atop the St Mary’s Church plays the anthem of Krakow as I am lost in the Stare Miasto or the Old Town, one of the best things to do in Krakow which is a UNESCO World Heritage Site. It is a riot of colours. The sky is a deep blue and the clouds have been banished for a while. Monuments built in Renaissance, Baroque and Gothic styles jostle for space as palaces and fortresses, theatres and churches, mansions and museums lie huddled next to each other. 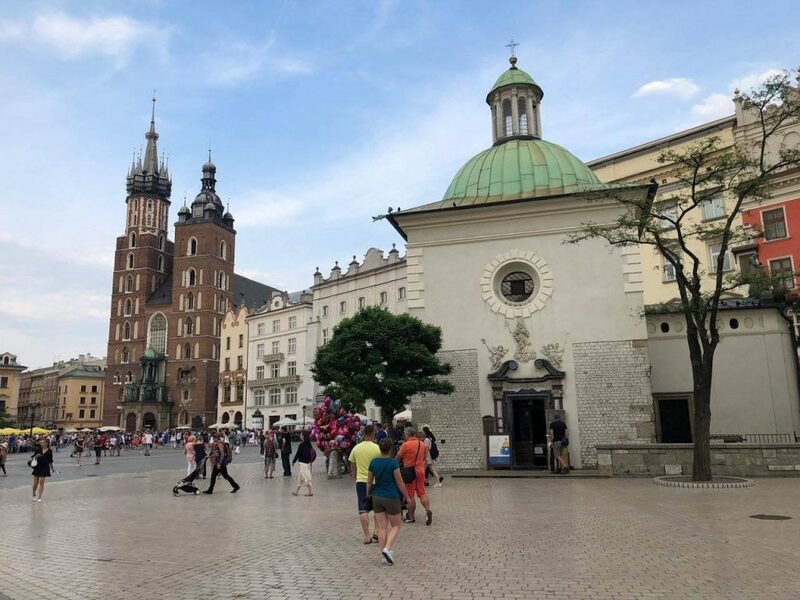 I love Old Towns and Squares and given a choice I will spend an entire day here as its one of the top things to do in Krakow. 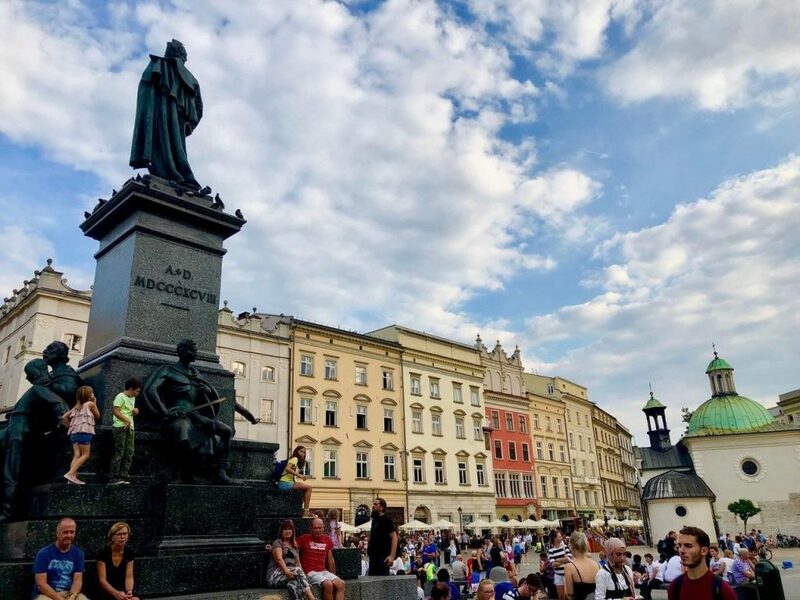 The Rynek Glowny is the largest medieval square in the Old Town and the view from the St Mary’s Basilica treats me to a carnival like atmosphere. There are tourists everywhere and the energy is so contagious. 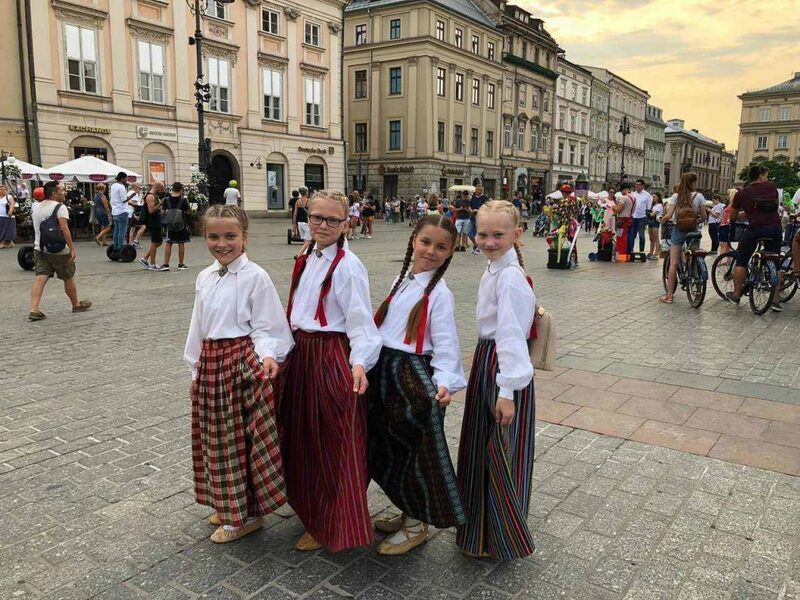 I see a group of school girls wearing traditional dresses and they are so happy to pose for me. There are street performers everywhere. As I walk around, I see several row houses in different colours and perhaps these were homes of merchants and nobles at one time. The Renaissance designed cloth hall is now a shopping complex filled with souvenir shops and restaurants while you can visit the National Gallery of Art in the first floor. The Town Hall Tower stands adjacent to the monument. Every Old Town has a unique flavour and while Warsaw Old Town has its own charm, Krakow is vibrant and crowded. 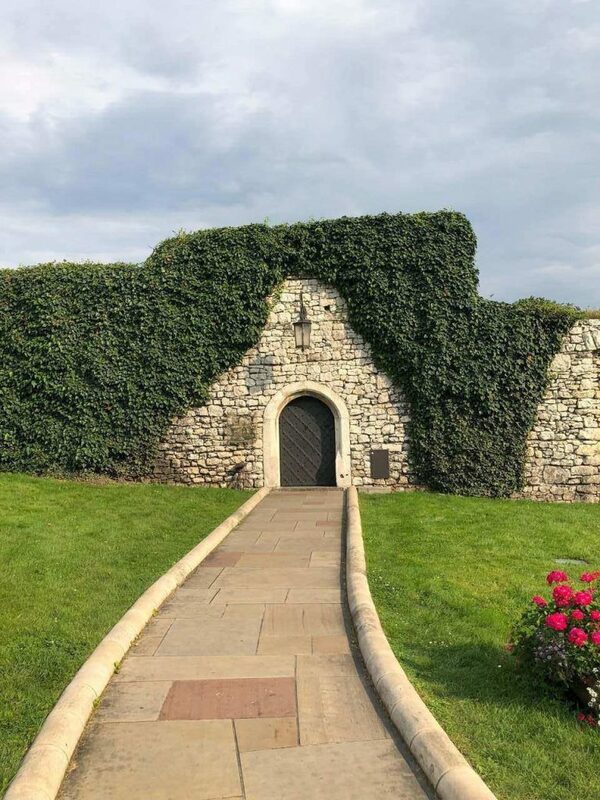 Yola tells us that during the medieval times there was a wall built around here which was about 3 kms long and there were over 46 towers and the city itself had seven entrances. But eventually these fortifications were demolished. However there is a green cover around the town called Planty Park and the old moat still stands today and is filled with water. Biting into a ring shaped bread called Obwarzanki Krakowskie, I follow the footsteps of newly crowned kings who took the Royal Route from the Florian Gate, passing by the Barbican of Krakow to Wawel. 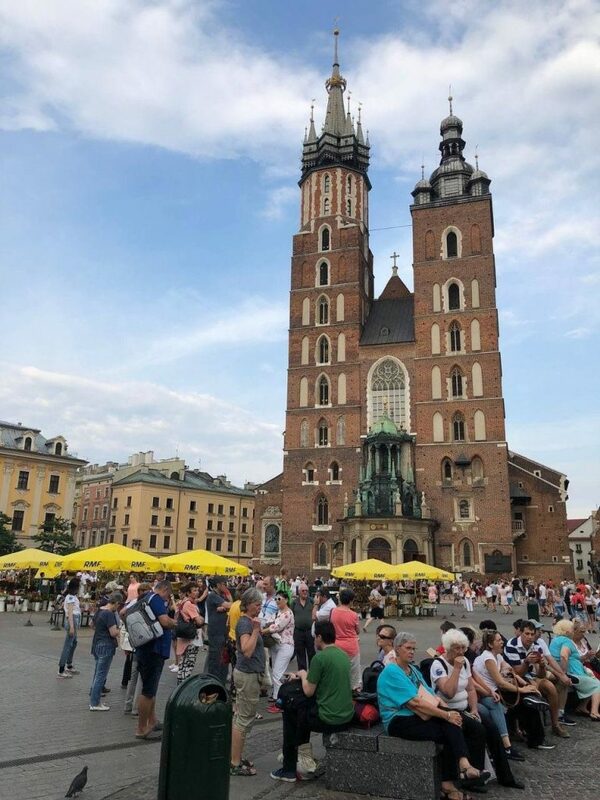 There are several museums, art galleries, churches, cafes and souvenir shops here but I am told not to miss St Anne’s Church and the Adam Mickiewicz monument, dedicated to the poet, which are some of Krakow attractions and are top things to do in Krakow . Back in the square, I am in time to hear the legendary trumpeter performing atop the tower of St Mary’s Basilica. St Mary’s Trumpet Call as it is called means St Mary’s dawn and it is a traditional anthem of the Polish. It is played every hour at the top of the hour and it is played actually four times consecutively. Yola tells us that it represents the four cardinal directions . The trumpet call at noon is apparently broadcast even today to all of Poland by radio. There is always a legend behind traditions and Yola is eager to tell me the same as soon as the trumpets end. In the medieval times, trumpets were usually played during dawn and dusk to open and close the city gates. In the medieval times there were four gates positioned along the cardinal directions but three out of the four have been demolished today. According to a legend, Krakow was suddenly attacked by the Mongols . An old watchman saw the army approaching from afar and he immediately played the trumpet, sounding off the alarm. 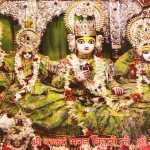 He woke up the guards and warriors who bravely defended the city. The city gates were immediately closed but the poor man sacrificed his life, saving his city as an arrow pierced his throat while he was still performing. According to Yola that is why the anthem always ends rather abruptly. It is haunting and sad is a poignant tribute to the old guard who saved his city. I am busy photographing the colourful square but Yola is rather impatient. She wants to show me the “real and original square.” Rynek Underground reads the name of the museum which is a part of Krakow sightseeing itinerary. I am literally walking below the square, four metres below where excavations take you back to the medieval times. There are the old merchant stalls that stood even before the Cloth Hall came up. Ancient cemeteries have been unearthed as well. Small artefacts from coins to pieces of clothing are showcased here. Walking in silence, I realize that this museum actually chronicles Krakow’s history from its early settlers onwards. The interactive museum displays over 6000 exhibits and each of them tell a tale. Somewhere lost in this underground world is the real story of Krakow and this is one of the best things to do in Krakow. 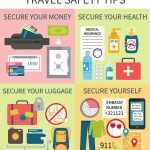 Stories have been the very essence of travel to me. 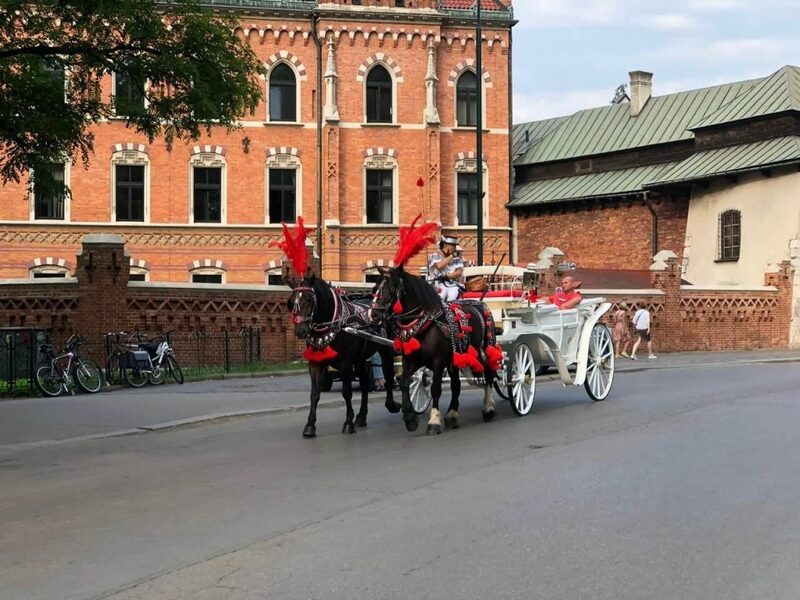 From dragons to pigeons, kings to cobblers, trumpeters to eccentric riders – there is never a dearth of them in Krakow. I head to the St Mary’s Church, one of Krakow attractions while the pigeons fly all around me . Standing there and watching them flutter away, I am lost in the story of the enchanted pigeons who showered gold on the city. Poland was then divided into five regions and one of the kings wanted to unite the five regions. He however needed money for the same and had to visit Rome to get the Pope’s approval as well. While the merchants refused to fund him, he approached a witch for help. She said that she would however help him under a condition that his knights would not travel with him. As the prince agreed, he realized that his trusted knights were all transformed into pigeons. As they flew over the St Marys Church, their droppings magically turned into gold, leaving the prince a wealthy man. Unfortunately he squandered his wealth and did not visit Rome. The witch meanwhile disappeared and the knights remained as pigeons while Poland remained divided. While the prince was cursed, the pigeons were always revered. Even today, the locals look up to them, perhaps wondering if they will shower gold again. 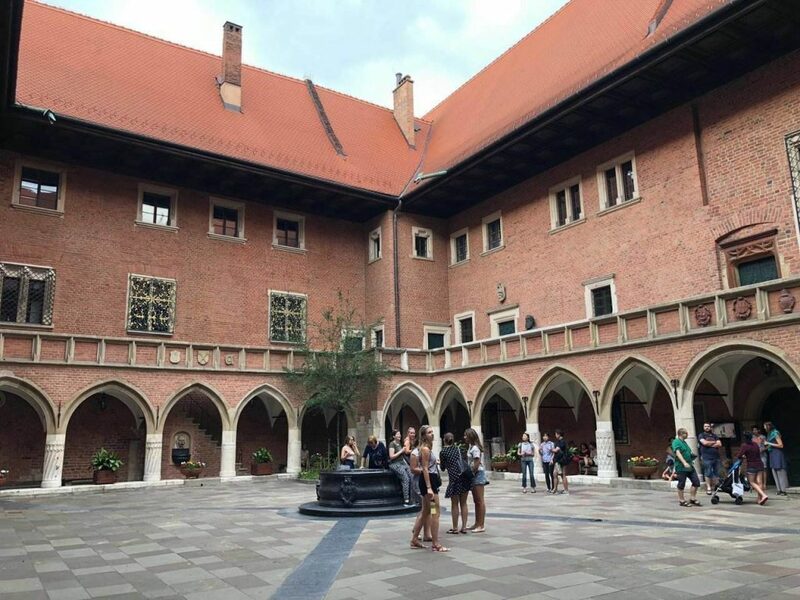 You do not travel to Krakow and not visit the Jagiellonian University, one of the Krakow attractions and the second oldest in Central Europe, which was established in the medieval times by Casimir 111 the Great. I walk into the old courtyard with respect, where once the astronomer Copernicus treaded and in recent times was the home of revered Pope John Paul 11. Several Nobel laureates studied in this research university as well. There were over fifteen faculties here and over 40,000 students study over 80 disciplines. Yola also tells us about the massive library here and the museum which has special tours as well, but it is the arcaded courtyard of the Gothic monument that fascinates me . An antique clock treats you to a puppet show as you can see parades and performances from wooden historic figures while the music takes you to the 16th century. 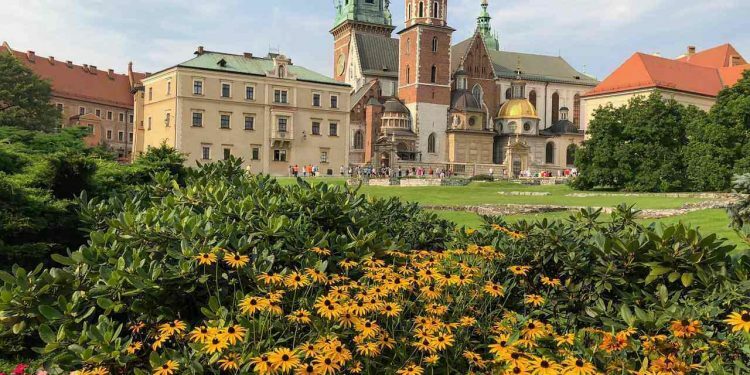 This is one of the top things to do in Krakow. Most of the figures represent people who feature in the history of the university – from kings and queens to academicians. The clock is believed to be the fourth as the older clocks were destroyed by fire. Standing there I honestly did not realize the passage of time, as Yola nudged me gently. It is time to leave . However we are still not yet finished with our walking tours. 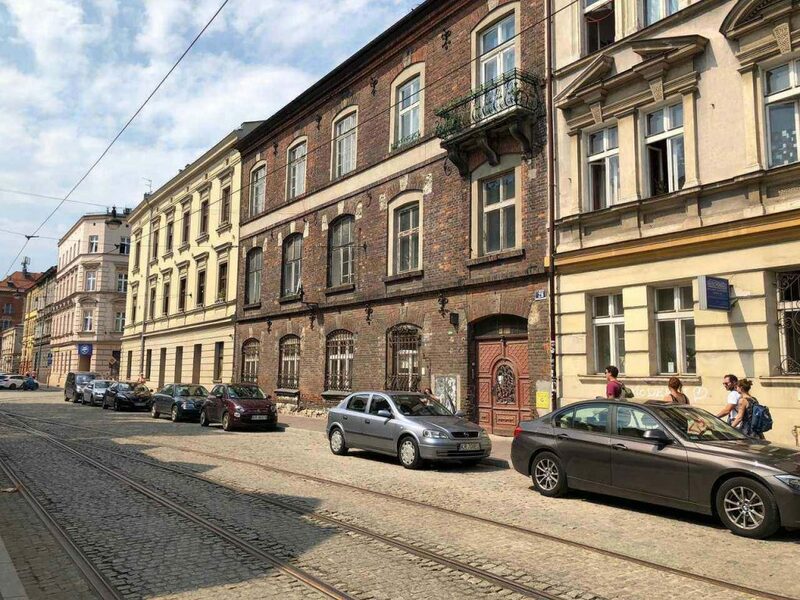 We head towards Kazimierz, the district which was the heart of Jewish culture in Krakow for over 500 years. 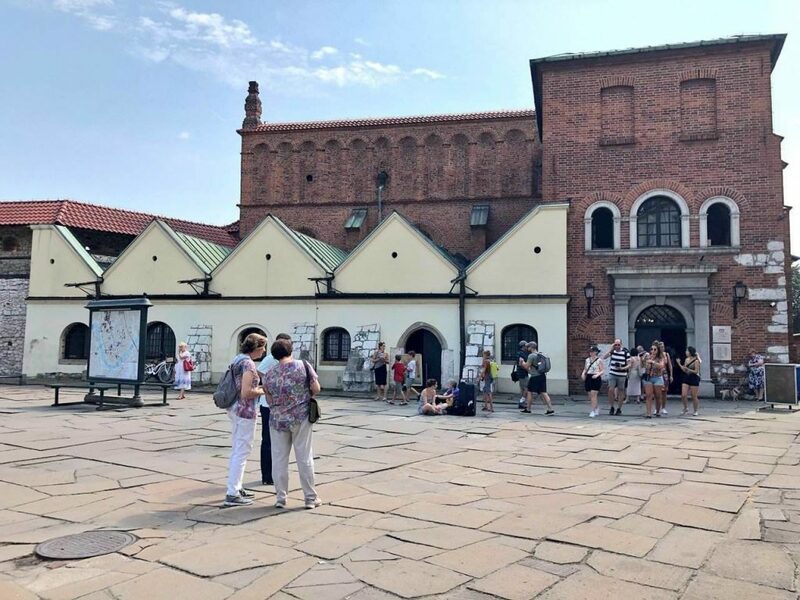 A walking tour of Kazimierz is one of the best things to do in Krakow. Chatting with Yola. 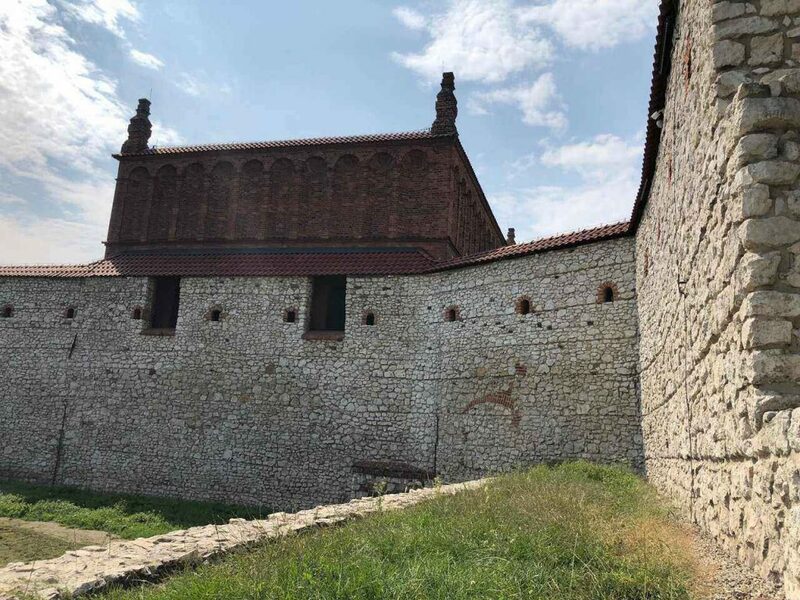 I learn that Kazimierz itself was another town during the medieval era. 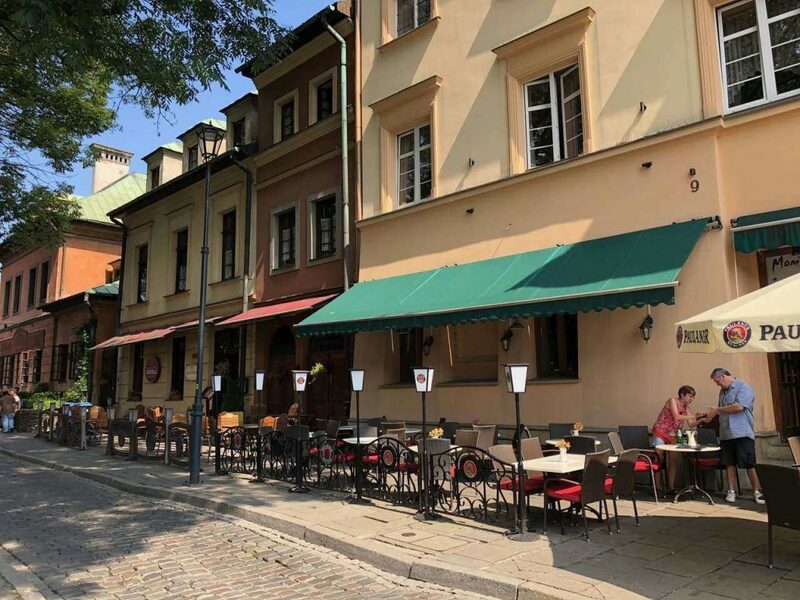 Founded by King Kazimierz the Great, this quaint charming locale with its own cultural fabric was actually an island Kazimierz , one of the Krakow attractions however has been identified with the Jews since the medieval times when they moved in here from Krakow. It slowly evolved into an influential and prosperous town with markets and merchants. 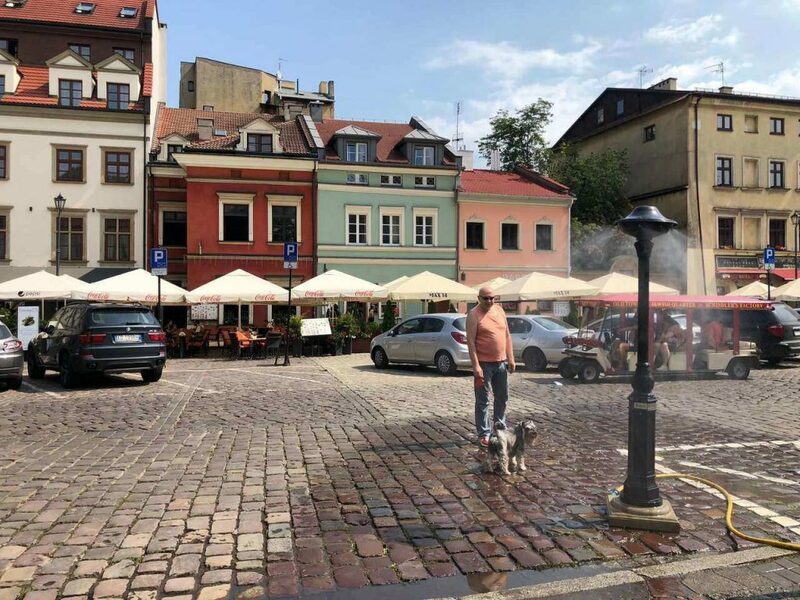 However Kazimierz was destroyed during the World War 11 and it was eventually became a seedy town during the communist era. But walking around the district today I see a vibrant, bohemian, artsy neighbourhood where history still echoes in the synagogues, markets and cemeteries. 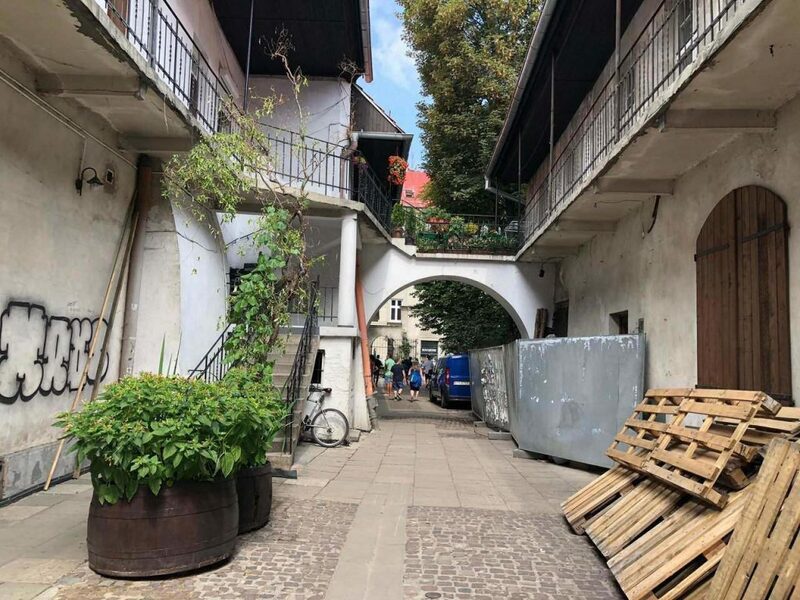 Steven Spielberg rekindled interest in the area with his iconic film, Schindler’s List and the factory itself is a museum today that take you back to the tortuous era. Yola stops by a charming courtyard with an old world charm that was featured in the film. Most of the sites that were featured were real locations. Oskar Schindler saved most of the Jews here as barely few thousands survived the Holocaust . Most of them met their end at the ghetto across the river. 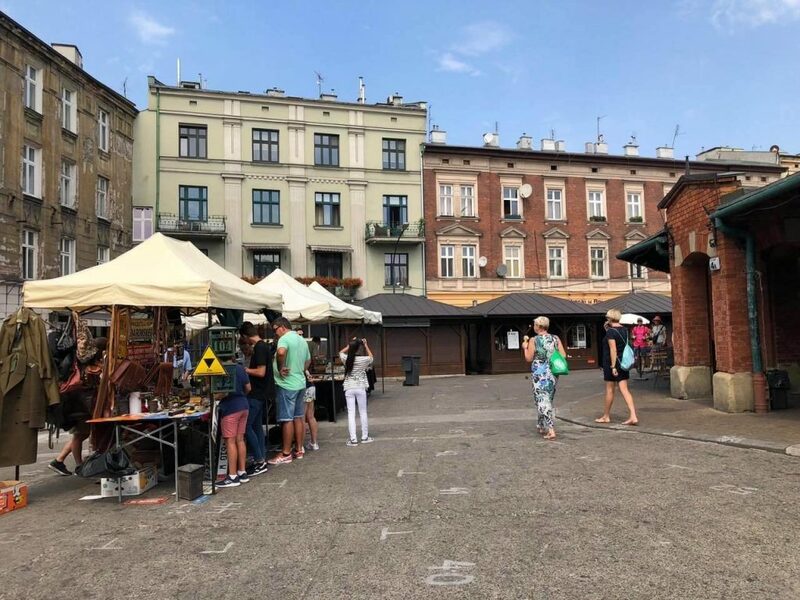 But the Jewish Quarter, one of the top things to do in Krakow is not just about historic moments after the World War 2. You get to see glimpses of the pre war Jewish culture. 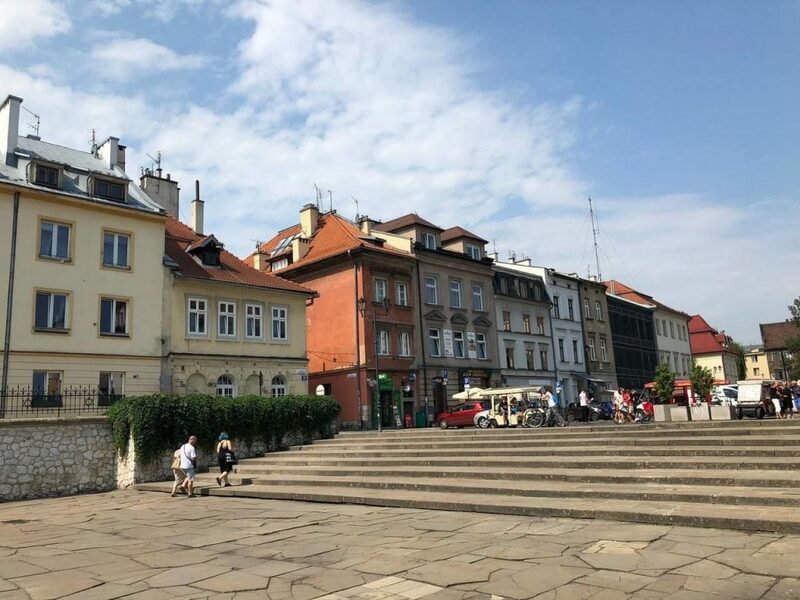 The square often referred to as Ulica Szeroka was where the merchants settled initially. The Jews who live here still head to the old synagogues. I head to Ramuh Synagogue and the Old Synagogue, which have to be part of Krakow itinerary. 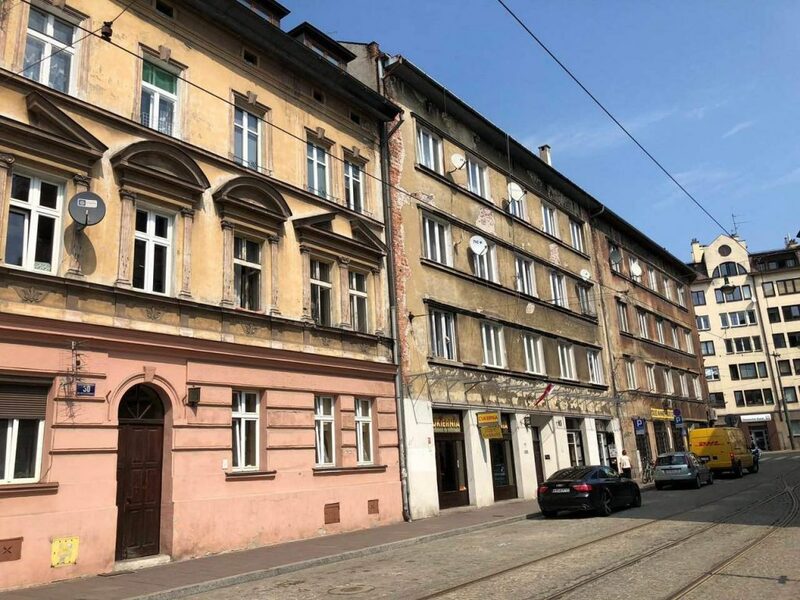 There is also the Isaac Synagogue, Temple Synagogue, Kupa Synagogue and the High Synagogue as well which are all Krakow attractions. 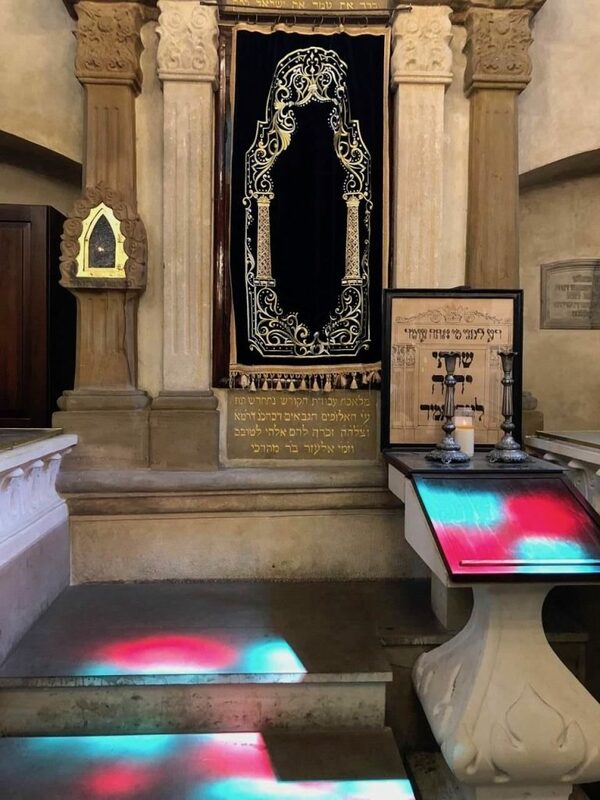 Jews from all over the world come back here as they view it as their pilgrimage. I am however fascinated by the legend at Isaac Synagogue, named after its founder Isaac. He once dreamt that if he would find a treasure below a bridge at Prague. Following his dreams, Isaac landed there only to be surrounded by soldiers. When he narrated his story, the soldiers laughed at him and said that they have been dreaming of a man called Isaac in Krakow who had discovered treasures below his stove. They laughed loudly saying that they would not however travel to Krakow as every other Jew in Krakow was called Isaac. Nevertheless Isaac went back home sadly only to miraculously discover a treasure under his very stove. Kazimierz is however a cultural mosaic of art and architecture, besides traditions and cultures. Antique shops, bookstores and art galleries jostle for space with synagogues, museums and historic sites. Cafes with an old world charm with pretty gardens and cheerful warmth beckon you. The cobbled streets come alive. It is so atmospheric just walking around the little lanes, listening to stories, while stopping by at an antique store and sipping coffee in a charming cafe. Besides the Jewish quarter, you can also see several churches that form a part of the Christian quarter. And yet it is not religion that defines the neighbourhood Neither is it the troubled history that they once shared together. It is a quaint vibe that echoes from the jaded facades, the wooden shutters, the silent courtyards that lends an old world charm to this district. A trip to Poland is not complete without a saline experience. Its a journey that takes you underground, 300 metres or 1000 feet below sea level. I am heading to a 800 year old salt mine with nine working floors underground, in a little town called Wieliczka in Poland. Legends greet you as you learn about how salt travelled all the way from Hungary to Poland. The sculptures carved here in this 19th century chapel takes my breath away as I realize that even the crystals of the chandeliers here are of rock salt. Various sculptors and miners joined hands to carve Biblical stories on the walls of this spectacular chapel. There are several chambers, chapels and even a cathedral in Wieliczka Salt Mine. 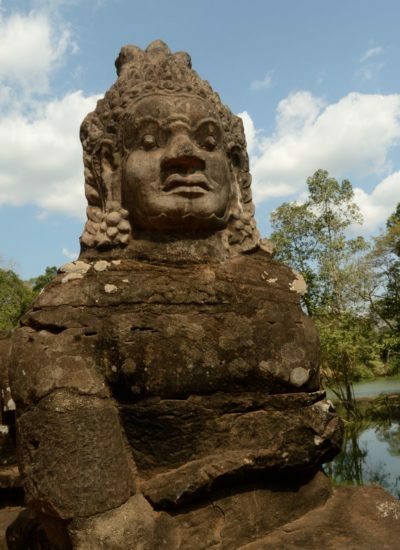 My eyes get used to the darkness as we see statues carved of rock salt everywhere. The lights come up as we see an artificial lake glistening in the darkness. Deep and mysterious , it has its own little secrets.. 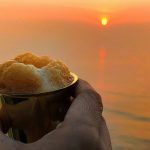 The day is almost ending as we head back to the city and walk back to the square to lose ourselves in the vibrant atmosphere, listening to some music and sipping wine. There are several tented stalls selling local food as it seems to be a farmer’s market out here. We head down to the river to watch the sunset and lose ourselves in the colours. Washing all the local delicacies own with wine, I end my trip on a heady note. 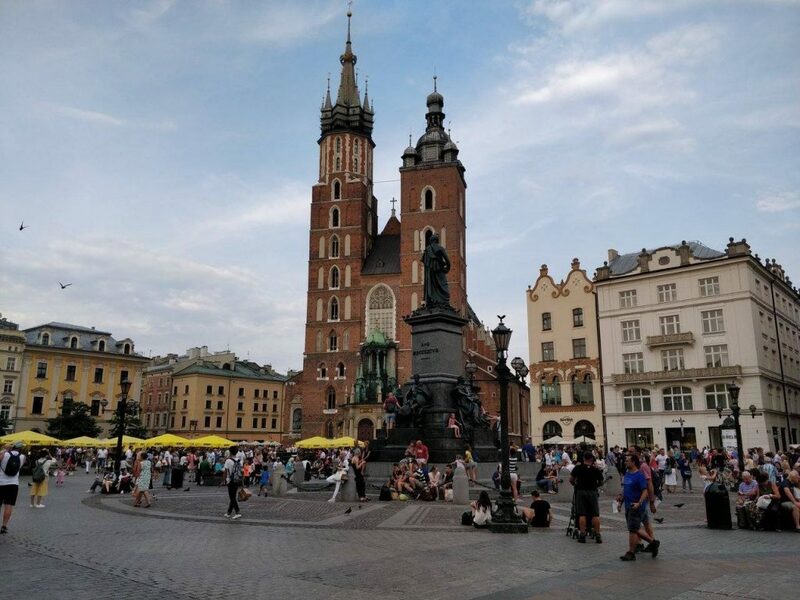 What are some of the best things to do in Krakow as part of Krakow sightseeing ? 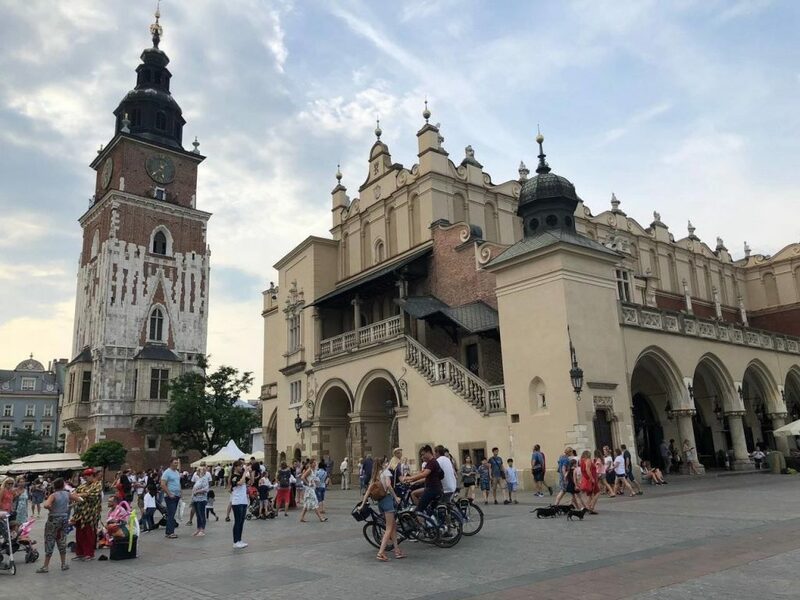 What are the Krakow attractions that you would recommend ?